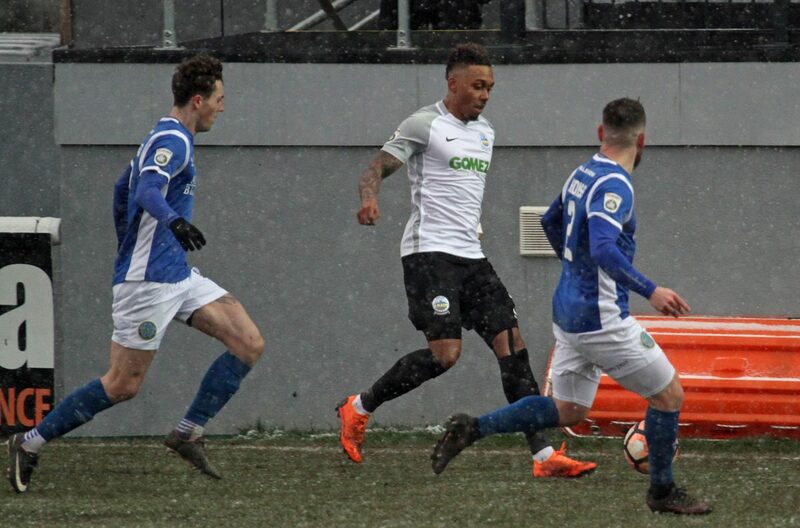 A debut brace from Keanu Marsh-Brown saw Whites beat leaders Macclesfield at a snow swept Crabble on Saturday. 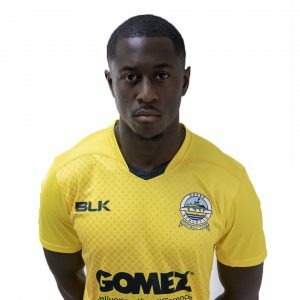 The winger, signed on loan from Forest Green, made the ideal start to his Dover career, placing the ball into the bottom corner from 25 yards with the game barely a minute old. And Marsh-Brown slotted in nine minutes before half-time as Chris Kinnear’s side register a third consecutive National League victory. However Athletic are also indebted to one of their defenders preserving the home team’s lead just minutes after the opening goal. 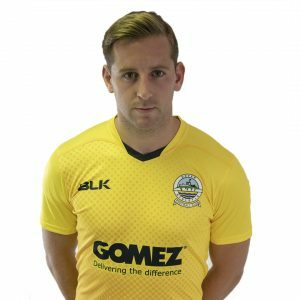 Defender Manny Parry bravely blocked Mitch Hancox’s volley from point-blank range to deny the midfielder a what seemed a certain goal. Home stopper Mitch Walker was then relieved to see Keith Lowe curl the ball some distance over the bar after the centre back received the ball in space. Scott Wilson seemed certain to add to his 13 league goals for the visitors this season after sprinting clear, but Connor Essam superbly denied Town’s top scorer with a last ditch tackle. Elliott Durrell then tested Walker twice with efforts straight at the home keeper. And Dover and Marsh-Brown duly punished their opponents on 36 minutes. The Forest Green loanee sprinted onto Femi Ilesanmi’s lofted ball and left Shwan Jalal grasping at thin air after rounding the visiting stopper. Left back Ilesanmi almost added a third just before the break, but smashed his effort just wide of the far post. Walker was forced into more action soon after the break, diving down low to save Hancox’s low fizzing strike and clasping onto the ball at the second attempt. Athletic’s goalie then breathed a huge sigh of relief after the away team missed a glorious opportunity to halve the deficit. After evading Walker’s challenge, Wilson laid the ball for Danny Whitehead to fire home, but in trying to avoid the Dover defenders on the goalline, the midfielder blasted narrowly wide. Marsh-Brown thought he had a debut hattrick after curling towards the top corner, but Jalal denied the attacker the matchball in stunning fashion, tipping the ball around the post. The visiting keeper produced another impressive save from the resultant Mitch Pinnock corner, this time pushing away Parry’s bullet header. Walker punched away Hancox’s long range shot and Keith Lowe could only find the side-netting form an angle. And Parry ensured Whites kept a third consecutive clean sheet, clearing sub Tyrone Marsh’s effort of the line. The victory sees Dover remain seventh in the National League standings, four points ahead of AFC Fylde in eighth. Earlier, Chris Kinnear made one change to the side that started at Chester in their last game. Marsh-Brown replaced Ryan Bird, who started on the bench. Dover: Walker, Parry, Essam, Lokko, Gallifuoco, Brundle (c), Bellamy, Ilesanmi, Marsh-Brown (Jeffrey 66), Azeez (Bird 87), Pinnock (Daniel 69). Subs not used: Passley, Nortey. Macclesfield: Jalal, Hodgkiss (Evans 82) (c), Pilkington, Lowe, Fitzpatrick, Durrell, Whitehead, Whitaker, Hancox (Burgess 82), Wilson (Marsh 69), Blissett. Subs not used: Ramsbottom, Kennedy.